One of Ireland's leading HPV vaccine campaigners has died. 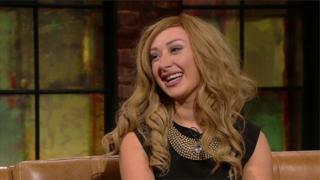 Laura Brennan, from Hillview in County Clare, had cervical cancer. She died at University Hospital Limerick on Thursday, according to Ireland's Health Service Executive (HSE). The organisation said the 26 year old's campaigning led to a surge of almost 20% in the number of young women taking the HPV vaccine. Her family said she was "a light in the life of everyone who knew her". They said they were proud of the work Ms Brennan did in the last 18 months to help protect other young women from cervical cancer. Uptake of the vaccine increased from 51% in 2017 - when Ms Brennan first contacted the organisation - to 70% in 2019. Minister for Health Simon Harris also paid tribute to Ms Brennan. "The State owes her a debt of gratitude," he said.